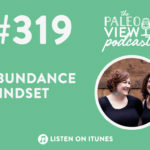 Home » Blog » TPV Podcast Episode 338: Integrative, Functional or Naturopathic? 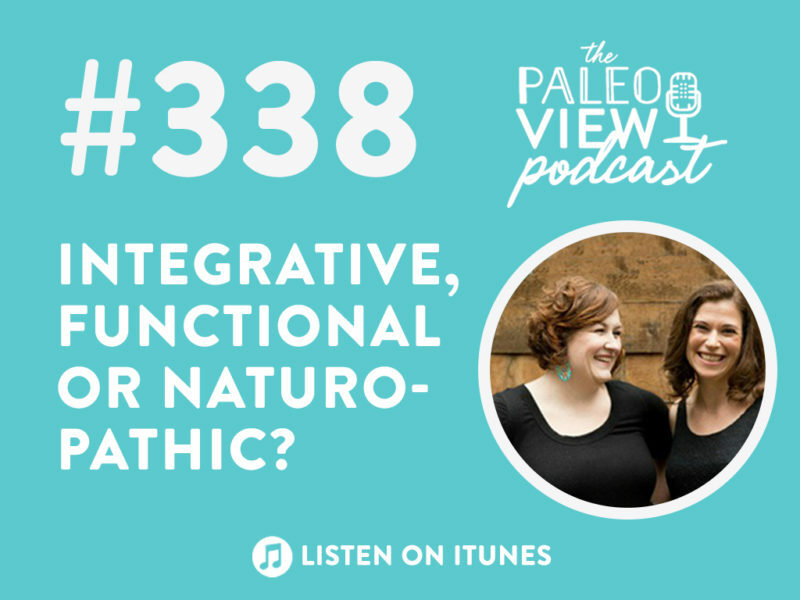 TPV Podcast Episode 338: Integrative, Functional or Naturopathic? 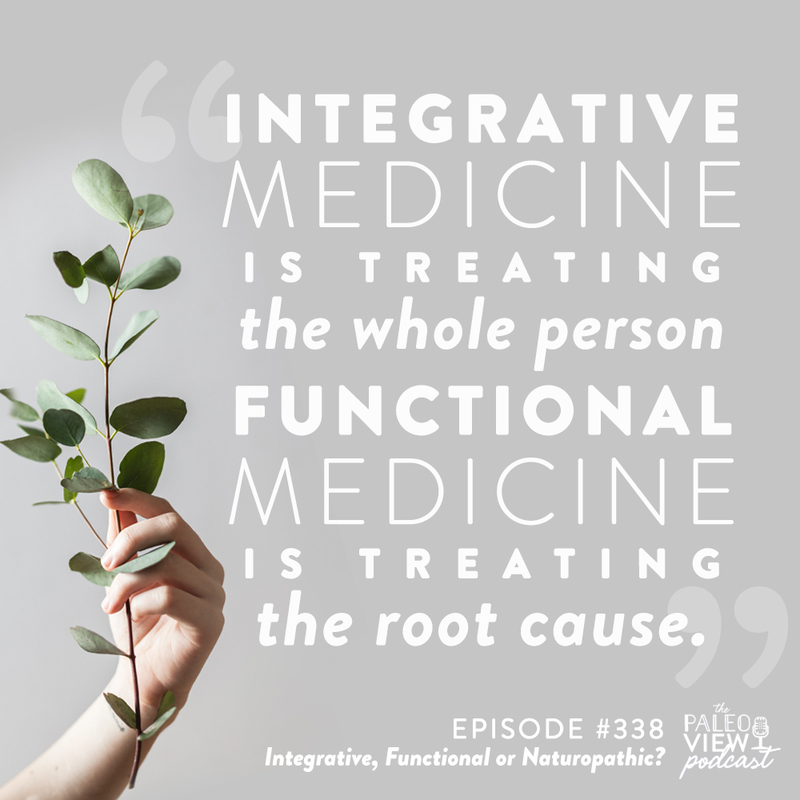 In this episode, Sarah and Stacy are clearing the confusion surrounding a common question: what’s the difference between integrative, functional, and naturopathic medicine? They’re breaking down what makes each of these areas of medicine unique as well as giving their recommendations for how to find the best doctor for you. 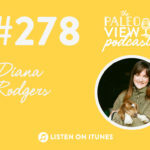 The Paleo View (TPV), Episode 338: Integrative, Functional or Naturopathic? 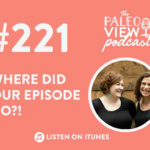 Last week’s episode TPV Podcast, Episode 337: What’s the Deal With Celery Juice? is going viral! If you missed it, be sure to check it out! Stacy is recovering from an allergic reaction to accidental gluten consumption. Despite checking with the server to confirm the cracker was gluten-free, it turned out the cracker was not, so Stacy has been suffering through 3 days of achy joints and inflammation. 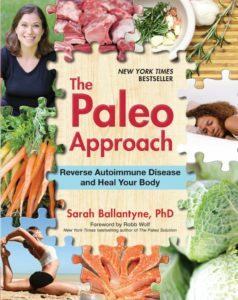 Stacy is preparing for her upcoming event, ThePaleoMom Workshop and Retreat at 1440 Multiversity! Stacy and Sarah are touched by the kind words! Thank you, Jessica! Stacy says it’s easy to get caught up in any negative feedback about the podcast (or so many other things!) so it’s really heartwarming to receive listener feedback like this. It’s a great reminder to be positive on the internet and in communications, not just negative. Do your best to be a good person! (16:05) Today’s topic: the difference between integrative, functional, and naturopathic medicine? Side note… go watch James Corden’s updated version of Alanis Morissette’s “Isn’t it Ironic?”. Stacy says there is a type of insurance called the Flex Plan which allows you to put money toward certain medical products and services. Sarah notes there’s a new health insurance called Knew Health whose mission is to make alternative medicine something that is covered. This refers to an additional certification through the American Board of Physician Specialities. Integrative medicine is a more holistic approach to medicine. Integrative medical specifical are MDs who have taken an additional certification. The term is starting to be misused by health care providers so do your research. Look for an “Integrative Medicine Specialist” or “Integrative Medicine Doctor.” Make sure they have an MD at the end of their name. Functional medicine is an additional training but is not limited to just medical doctors. Chiropractors, naturopathic doctors, physical therapists, nutritionists, acupuncturists, etc, can all take this additional certification. They can apply functional medicine practices within their scope of practice. Functional medicine itself is very similar to integrative medicine. Integrative medicine is treating the whole person whereas functional medicine is treating the root cause. Functional medicine looks at the different biological systems in the body to identify what the underlying cause is. Instead of giving you a drug to mask symptoms, a functional medicine doctor wants to figure out what’s causing this in the first place. A functional medicine practitioner can be an MD but doesn’t have to be. Some things are covered by insurance (blood work, for example) but others, like appointments, are not. This model is common with both functional and integrative models. 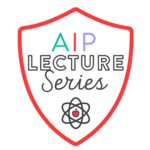 Conventionally trained doctors or allopathic doctors go to medical school, then do an internship and residency to specialize. Naturopathic doctors, on the other hand, do a similar training but in a different program. This program has a different philosophy that’s centered on using the power of nature in supporting the body’s inherent ability to heal. A naturopathic is more limited in the types of drugs they can prescribe. They can order the same tests but may do other tests. They will likely do a wide range of alternative therapies, even the ones that aren’t strongly backed by science. The idea is that it measures the electrical resistance in your skin to different stimuli. The computer can interpret the stimuli to determine what medications and supplements are good for you. This machine is marketed to alternative health providers who can plug in the specific products they can carry, which will then be recommended to the customer. There is no scientific evidence to back this machine. Sarah says there are advantages to seeing an MD because they can prescribe pharmaceuticals in addition to supplements and botanicals. If you want to go the naturopathic route, look for naturopathic doctors with functional medicine training. Do they have experience treating your condition? Is any part of what you do covered by insurance? Can you get tests ordered by your regular doctor so you can save money? What are your first line of treatments? Do you tackle diet and lifestyle first or herbals and botanicals first? Do they do other alternative therapies? What types of laboratory studies do you use? Ideally, they’re doing saliva, stools, and urine tests. Muscle tests don’t have much scientific validity. Do you have a good repour with this doctor? Stacy says to trust your gut. You are paying for a service the same way you’re paying for a service in any other capacity. Just because someone has a recommendation, it doesn’t mean it’s the right recommendation for you. Stacy asks Sarah to clarify what a nurse practitioner is. Sarah says a nurse practitioner is a step in between being a registered nurse and a family physician. They can do some diagnostics and prescriptions. It’s common to have NPs in practices doing simpler cases. They go through a rigorous training program. Stacy notes that NPs seem to have more practical experience and can provide better guidance on lifestyle choices. Whichever way you go, it’s that relationship that actually is the thing that makes the biggest difference. Stacy encourages listeners to look for local holistic health groups for practitioner recommendations. Sarah is happy to give you her recommendation for a functional medicine doctor if you live in the Atlanta area. Please message her on Instagram and she will share that information. Please do not ask Stacy for a recommendation.